He answer is yes, it is. One of the greatest benefits of olive oil is the use of it in the hair. Nowadays, olive oil is used as a natural cosmetic. Olive oil has probably the greatest fame that has, especially in the Mediterranean region, because it is practically used for cooking. However, we must highlight on its great cosmetic properties. The plenty of applications of olive oil dates back to the Greek era in which olive oil was not only used as food, but also applied as cosmetic treatment or even for medicine. On the other hand, in Roman times it was used for the production of creams and different ointments that were given numerous uses. And going back deeper in history, Egyptians created a series of ointments used for hair, providing a number of nutrients that made hair look more beautiful. Today, olive oil is increasingly settled in the cosmetics industry, along with others like coconut oil or argan. It is sold as a single ingredient or as the main component of creams and lotions for hair, facial and body use. Let’s start with its uses in hair. As we know, vitamins are an essential element in oils. The olive oil is very rich in tocopherol, but also in unsaturated fatty acids and essential minerals to the cells. This composition results in regenerative and/or moisturizing components that provide the necessary nutrients for your hair regains its vitality and beauty that has always had. First, olive oil contains vitamin E that will help you strengthen your hair, so that growth more healthy and stronger. Secondly, due to its numerous regenerative properties, olive oil will cause an increase of hair growth, especially in those areas that are seriously damaged. 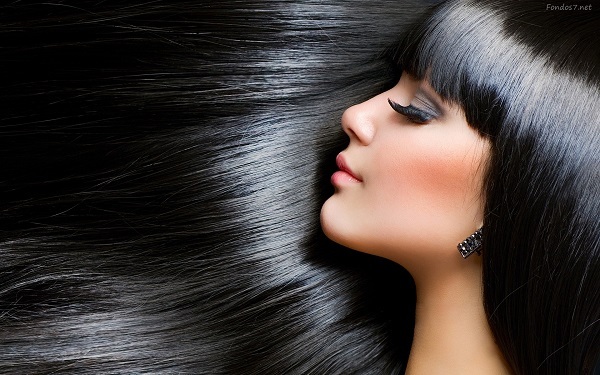 Third, thanks to vitamin C, olive oil also contains collagen, so the finer hair will regain its strength. Furthermore, due to vitamin A you are going to control the regeneration of cells. You will start to regain protein in those areas that are damaged or abused. 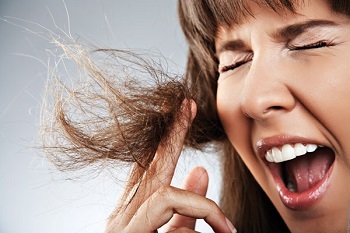 The frizz that is a very common problem in many hairs will be reduced or even eliminated thanks to olive oil. Olive oil is a great remedy against the tips that are opened or damaged. Thanks to its toning properties olive oil will get those hairs that are mostly damaged by the sun, the beach or the pool back to its natural state. Heat the oil extract in a bowl in the microwave. Depending on the length of your hair, you will need 2 to 4 tablespoons. Not too hot!, because you will oxidize its vitamins. Heating the oil for 15-20 seconds is enough. Then moisten your hair with warm water, and apply the oil all over, from the ends to the scalp. The idea is to let olive oil acts uniformly, repairing damaged ends and preventing the fall. Cover your hair with a towel, a shower cap or paper film. Let the oil penetrate and do its work for 30-35 minutes. Don´t so this treatment while sleeping, it is too long. Remove the excess in the shower. Rinse well with shampoo for hair. Follow the treatment once or twice a week, depending on your time and needs. Moisturize dry and burnt hair. Prevent hair fall and alopecia, strengthen the roots and stimulate growth. Four tablespoons of olive oil mixed with beaten egg. We must spread the mask evenly throughout the hair and let it act for about fifteen minutes. The next step is to wash the hair with warm water to remove the mask. In this way, we will help the hair to be hydrated and revitalized. We can apply this mask once a week. If we want to have a regenerative hair mask, you have to add three tablespoons of oil and honey, mix well until we get a good dough, then you have to let it ferment for twenty-four hours. The way of application is on clean, damp hair; let it act for about fifteen minutes and wash your hair again. If we want a home remedy against opened or damaged ends, we have to apply olive oil directly on them. If we a better result with, we can do it with dry hair and leave it overnight. This process can be performed every two days. purposes because you can see the good effects immediately. In pharmacies or supermarkets, there are different typeWe highly recommend olive oil for cosmetics of hair treatments, whether creams, shampoos and conditioners. Thousands of people spend money on products for damaged hair, to protect and moisturize and split ends; however, today there are various natural methods with which you can get the hair in perfect conditions. Olive oil stands out as an elementary hair treatment. If your hair is dry and brittle, you should use olive oil every day, but remember to stop other products containing chemical ingredients. The use of olive oil helps moisturize the hair and at the same time gives shine; this is thanks to this excellent natural beauty product for skin care and hair. There are more benefits associated to the use of olive oil, such as, prevention of cardiovascular disease, reduction of gastric acid secretion, constipation and diabetes. Olive oil also contributes to the correct bone mineralization, and increases longevity.